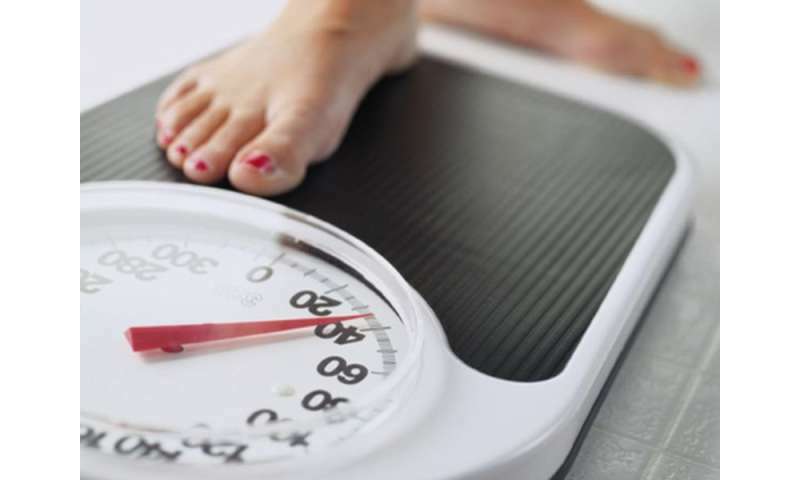 (HealthDay)—Excessive weight gain is never a good idea for health. Now, new research supports the notion that putting on pounds raises cancer risks for middle-aged women. The take-home message: "maintaining stable weight in middle adulthood … as well as avoiding excess body weight are both of importance for prevention of several obesity-related cancers in women," the researchers said. For the study, Marisa da Silva and colleagues at the Arctic University of Norway in Tromso collected data on women who took part in the Norwegian Women and Cancer study from 1991 to 2011. The researchers looked specifically for the risk of obesity-related cancers, including certain myelomas and cancers of the breast, colon, endometrium (lining of the uterus), ovaries, pancreas, kidneys, gallbladder, stomach, liver, esophagus, brain and thyroid. Over 18 years of follow-up, nearly 10,000 women developed obesity-related cancers, da Silva's team found. Although the study couldn't prove cause and effect, obesity was tied to a rise in the risk of postmenopausal breast cancer by 20 percent and kidney cancer by 95 percent. The largest increase was seen in endometrial cancer, with obese women more than twice as likely to develop it, compared with women of normal weight. The researches also focused on 82,000 women whose weight changed over the follow-up period. More than 5,300 of these women developed obesity-related cancers over the study period. Among women who gained 22 pounds or more, the risk for breast cancer rose 36 percent and 40 percent for endometrial cancer. But the largest risk was for pancreatic cancer, which saw a 91 percent increased risk for women who gained this level of weight in middle age. Two U.S. obesity experts said they weren't surprised by the connections. "It is widely known that obesity increases your risk of medical conditions such as hypertension, sleep apnea and diabetes," said Dr. Heather McMullen, who directs bariatric surgery at Northwell Health's Syosset Hospital in Syosset, N.Y.
"This article highlights that obesity, as well as significant weight gain in women, increases risk of certain cancers," she said. The exact reasons for the link remain unclear, added Dr. Mitchell Roslin, chief of obesity surgery at Lenox Hill Hospital in New York City. He noted that increases in an older woman's weight can trigger a rise in estrogen and other hormones that, in turn, have been linked to higher odds for endometrial and breast cancer. The elevated blood sugar levels that accompany obesity might also have ties to cancer risk, Roslin said. Whatever the link, "we need to begin to understand that what we eat can be a powerful medicine or alternatively a promoter of disease," Roslin said. "While the impact of obesity on diabetes and heart disease gets attention, the impact of obesity on cancer is not discussed as frequently." The results of the study were scheduled to be presented Wednesday at the European Congress on Obesity, in Vienna, Austria. Research presented at medical meetings is typically considered preliminary until published in a peer-reviewed journal. For more on obesity and cancer, visit the U.S. National Cancer Institute.